“I think I experienced Child of Eden in high school.” I joked one day after first playing Ubisoft and Q Entertainment’s game that plays on Kinect for Xbox360 or Playstation Move. All joking aside, this game is a stunning visual representation of what games can be, and a glimpse into the future of motion controlled gaming. 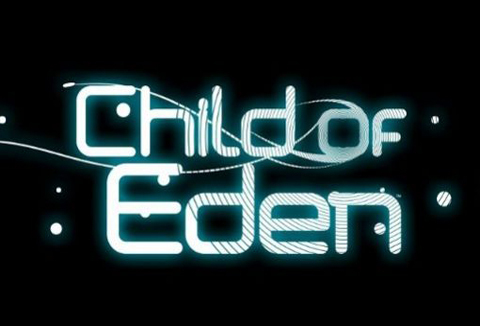 Child of Eden is a game that mixes stunning visuals, emotionally filling trance music and spot on controls to make for a brilliant experience. The premise of the game is to save Project Yumi, a human personality inside the archive of all human memories which is called Eden. Eden is under attack from a virus and it is up to you to save Eden by using 3 different weapons. Throughout the game you get images of Yumi brought up as you progress and defeat enemies, many of which take the form of anything from flowers and various sea creatures to a giant wale and a massive phoenix, not to mention the inside of Eden has a very organic feel to it throughout the game. I played Child of Eden on the Xbox 360 with Kinect, and while you can use a regular controller to play, you are really selling yourself short by using it. The game works much better by using the motion controls and just feels more intuitive by doing so. You have 3 weapons at your disposal, a rapid fire laser that is used by your left hand with a surprisingly accurate to follow your motions reticule, and a lock on laser with your right hand that can lock onto up to 8 targets for a more powerful attack. The third weapon is a kind of massive bomb that attacks everything on screen at once, but these are limited to the number you have and can only be replenished through defeating certain enemies. The only drawback to having your weapons at your fingertips to say, is that your arms can get tired from constantly holding them up pointed at the screen. Playing Child of Eden, I found it to be much more enjoyable and fluid if you combined your attacks with the flow of the music. Hits on enemies produce a musical note of their own and so it becomes more rewarding and more beneficial to your play to be more fluid with your attacks. By playing with the music the game becomes more of a symphony that builds in crescendo until the final boss of each level and ends with a musical climax at its defeat. The only negatives I found with Child of Eden were the fact that there were no save points within a level, so that if you struggled at any point and died, you had to start completely over. The game is also fairly short with only 5 levels to play through with 1 unlockable level. Hard difficulty has to be earned as opposed to being able to play it from the beginning, and the level unlocks are based on star ratings you earn in previous levels as opposed to just completing the levels themselves. These things are really minor issues and despite the fact that Child of Eden really is such an incredible looking and feeling game, once completed I don’t see a lot of gamers returning to play for the pure enjoyment of it. The lack of length is about the only thing that really hurts this game and as more titles in the motion control category become available, I’m afraid this might go by the wayside. Still, Child of Eden is a very excellent game and I highly recommend that you play it if for nothing more than the experience. Don’t be afraid to immerse yourself in the sensory overload.